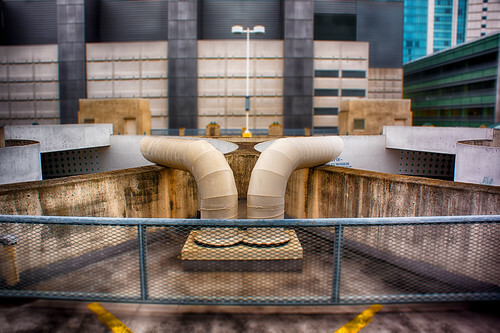 Ducts, a photo by ericwagner on Flickr. Ducts on the roof of the 5th and Mission garage, San Francisco, CA. This entry was posted in Uncategorized on February 15, 2014 by eric.